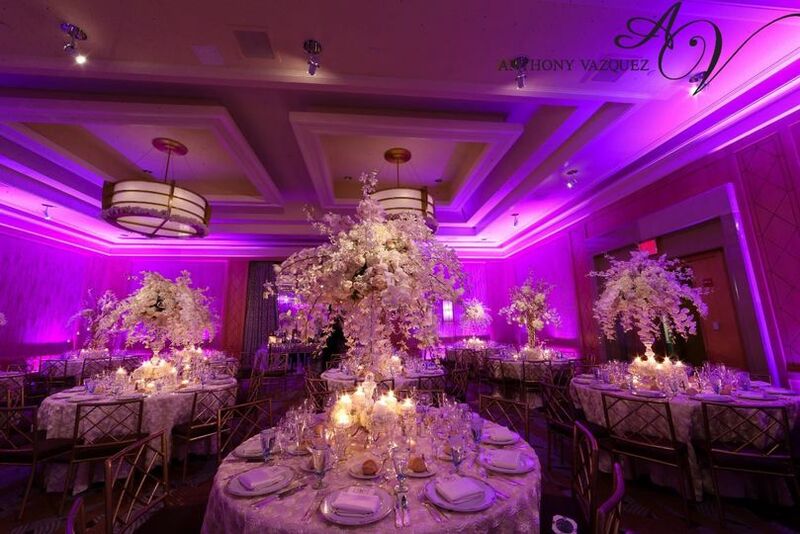 The Wagner at the Battery is a wedding venue located in New York, New York. This stunning hotel in the city features elegant indoor event spaces that couples will love to host their sophisticated wedding. 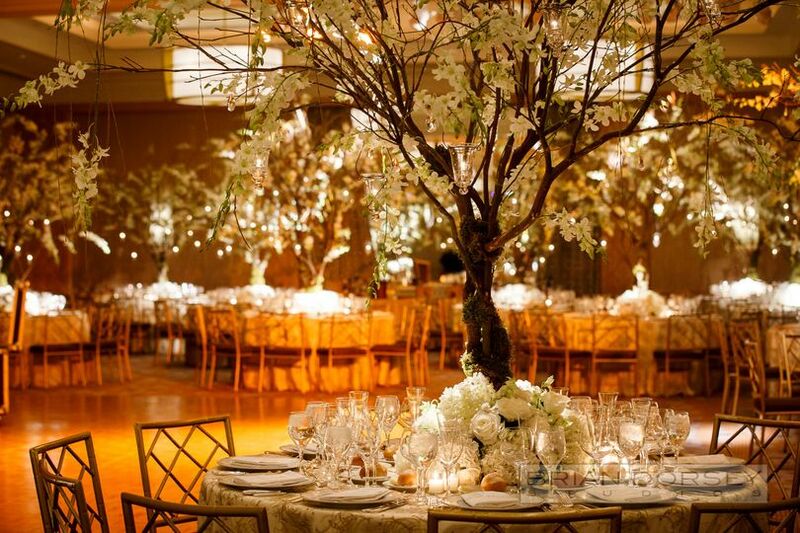 Their luxurious environment will certainly elevate your wedding and make it one neither you or your guests will forget. 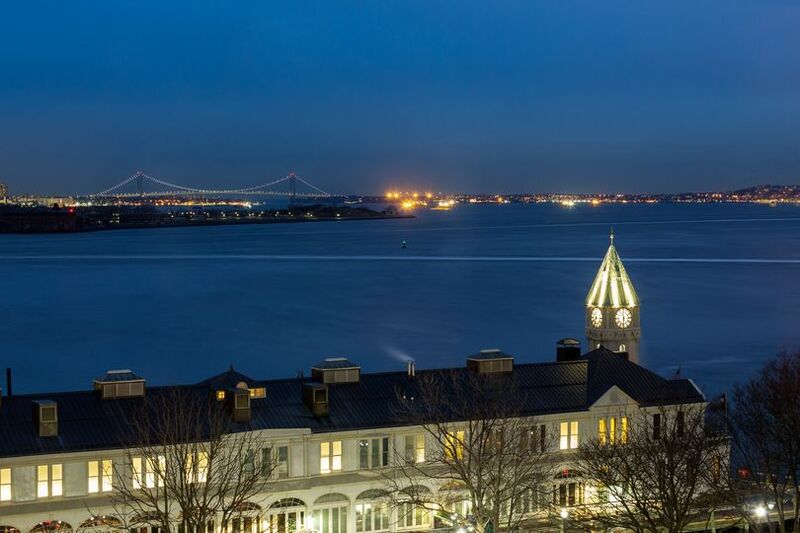 Couples may entertain up to 300 wedding guests at the Wagner at the Battery for their ceremonies, receptions, rehearsal dinners, engagement parties, bridal showers, and elopements. This gorgeous hotel houses elegant, classy rooms that may be decorated to fit your vision. 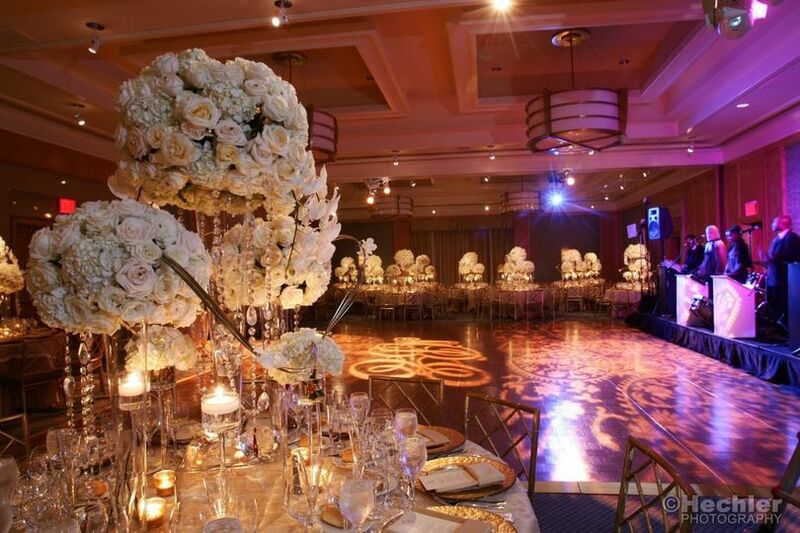 Large, wide open ballrooms are perfect for fitting your grand or intimate weddings. They all offer the utmost privacy so you and your guests may unwind and enjoy yourselves. 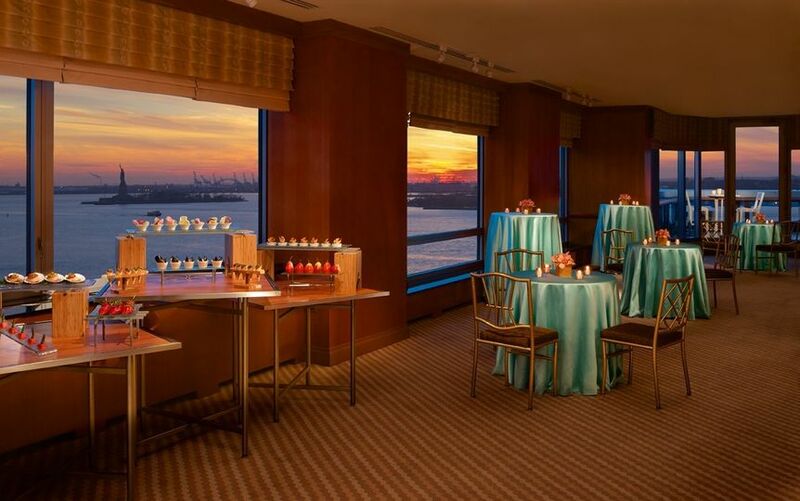 Some spaces even have a striking view of the waterfront where guests may seen the sun set over the water. The Wagner at the Battery will provide catering for your events. Wedding experts at the hotel will help you with catering, including Indian and kosher caterers in the area and in-house gourmet menus. They will also refer you to a cake designer in the city to custom design a fabulous wedding cake, though couples may also bring in their own outside cake. They offer various serving styles, including buffet, family style, hors d’oeuvres, plated, and stations. They also offer dessert and cocktail reception services. It’s impossible for me to believe that there is another wedding venue that can provide the wedding experience The Wagner does. Not only are the physical spaces (ballrooms, conference rooms, cocktail spaces, Hotel rooms, lobby and public bathrooms) ideal (well appointed, clean and maintained beautifully), they give you options to shape your event in ways that best suit your family’s needs. 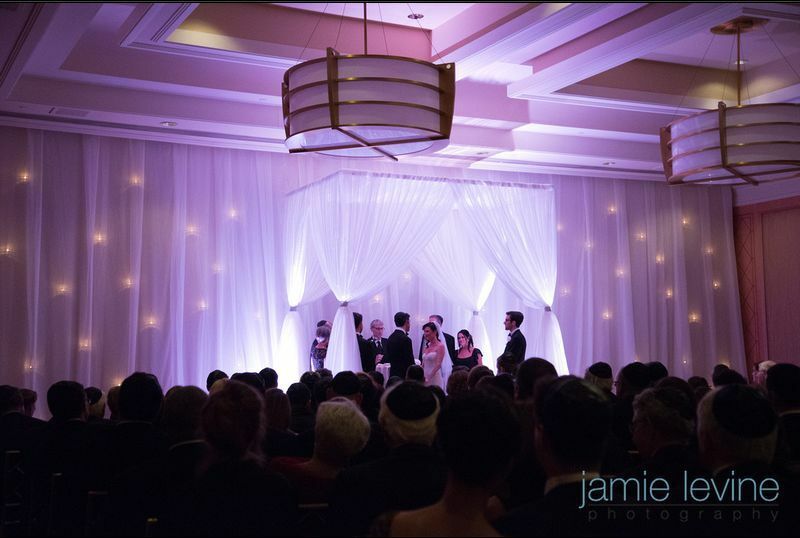 The ceremony in the Manhattan Ballroom was warm and intimate. Our guests were in awe of the views from Rise during the cocktail hour, they were relaxed and comfortable during the reception in the Main Ballroom and felt at home in their hotel rooms. 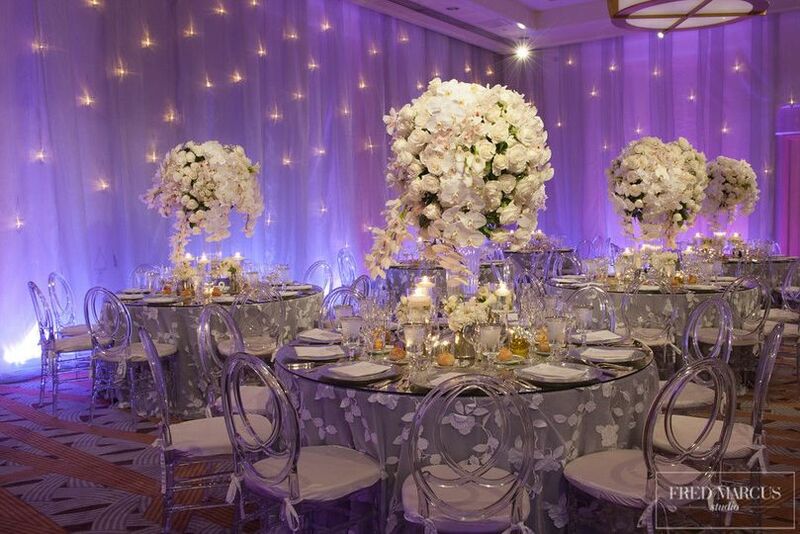 The Main Ballroom provided us with ample space for dinner, dancing and room to move about without feeling cramped. 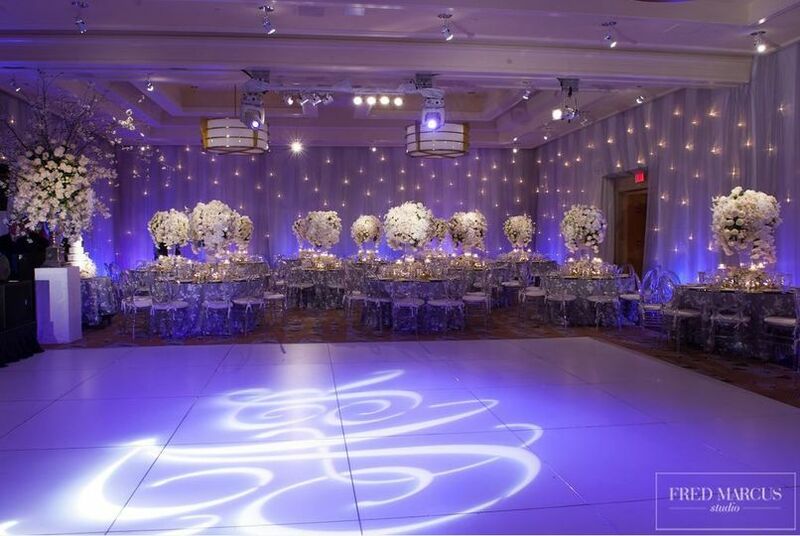 The Ballroom is an elegant raw space that doesn’t need endless costly add-ons to transform it into something special. We had relatively simple, natural centerpieces, votives and some amber uplifting- could not have been more beautiful and it didn’t break the bank. The food was delicious! I can’t remember the last event I attended where the guests ate and enjoyed the way they did at our event. If I wasn’t already confident of our decision to use The Wagner before, I was completely sold during the tasting three months before - WOW!!! The hotel and wait staff are warm, gracious and friendly, there to serve you and your guests with the utmost professionalism. Vivian and Blaire - a winning team who work with you every step of the way from the day you come to tour the hotel until the day you check out and say goodbye. There isn’t a single detail they aren’t willing to handle and there are endless touches they add that catch you by surprise. I’ll let you find out about those for yourself. We looked at many venues that cost the same, and often more expensive, that, I am confident, weren’t going to come at all close to providing what The Wagner did for our bride and groom, our families and guests. I’ve hosted and organized many events over the years and I can honestly say I have never had experience like we did at The Wagner . I write this review with the deepest appreciation, respect and admiration to everyone at The Wagner who gave us an incredible experience we will never forget. Thank you all! I cannot say enough good things about having our wedding party and guests stay at the Wagner!! I recommend it wholeheartedly to anyone having a NYC wedding! Analy, Tom and the staff were phenomenal from the first moment we reached out until our departure -- and then even after as they followed up with us! 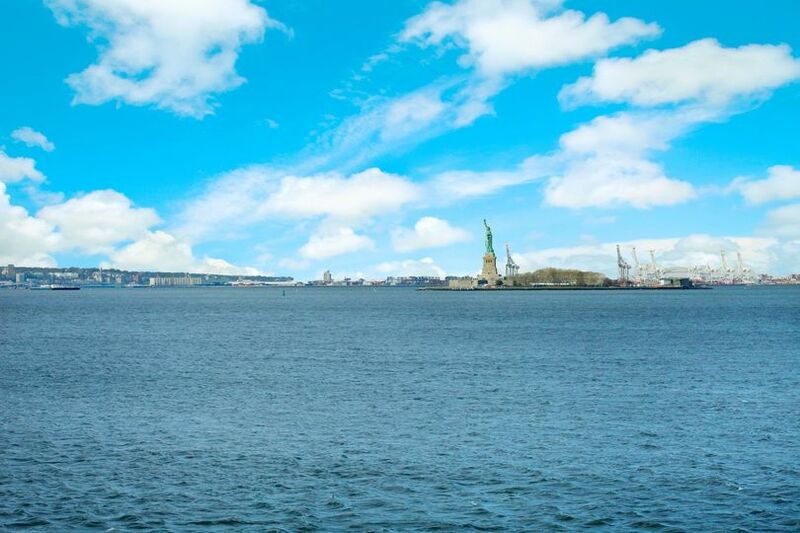 It was easy to work with the Wagner team to arrange our room block and they worked with us to upgrade our guests to the (stunningly, awe-inspiringly) beautiful liberty view rooms (with views of the Hudson river and Statue of Liberty, and even a telescope to view her in the bridal suite). My father-in-law arrived first and was blown away to be greeted as "father of the groom" by the concierge. Upon checking in, both my now husband and I found our favorite drinks (he Coke, me Pellegrino) in our rooms along with snacks, welcoming us to the hotel! Kevin and the bellmen staff were there from the first moment, and made it known they were there to help with our every need. My mother called down for new pillows, water, tissues, etc. Everyone was dealt with quickly and with a smile! They even proactively gave us a case of complimentary water for our suite for my friends and i to drink while getting ready! I had been nervous when the Ritz Carlton switched over to the Wagner after I'd already decided to stay there. I can tell you that it was seamless and perfect! In fact, much of the staff (like Kevin and Richard) have been with the hotel for years and are expert at luxury service! I felt they were friends -- helping us navigate the weekend! When the big day arrived, my husband and I returned to our suite to find the biggest surprise of all: a chilled bottle of Prosecco, chocolate-dipped strawberries, a bed covered in rose petals (!) and, most amazingly, a personalized card wishing us a happy wedding, signed by every member of the staff! I can't wait to stay there again...for our first anniversary!